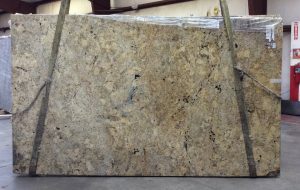 Home » Uncategorized » 40 New Slabs Have Arrived! We just received a large shipment of beautiful white and creamy granite slabs. Stop by the new showroom at 963 N Hwy 16 Business to check them out!